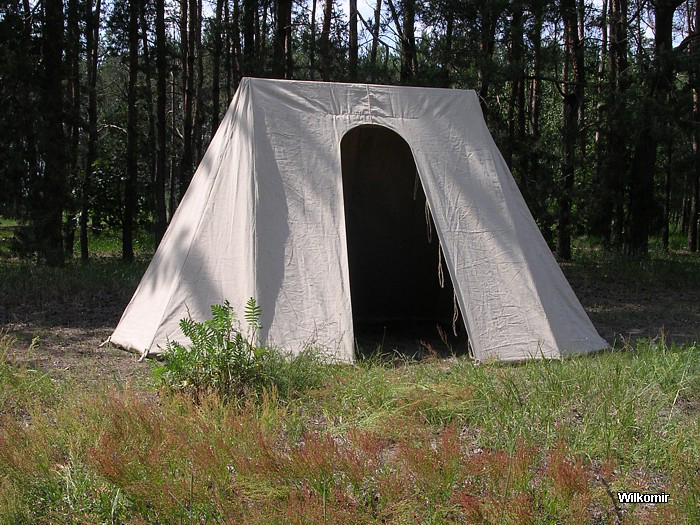 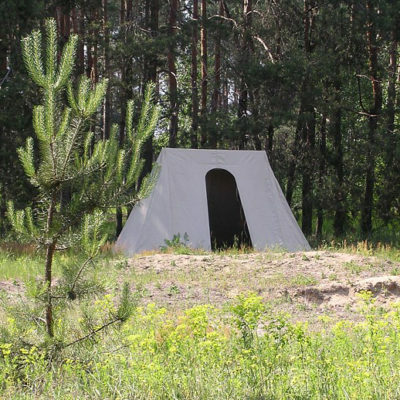 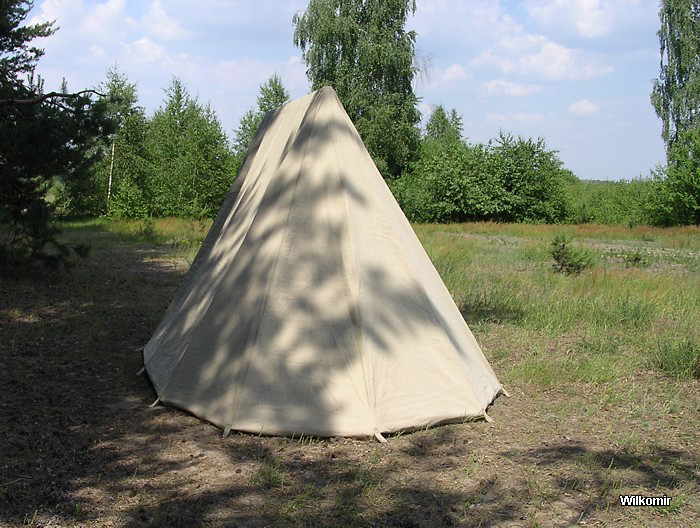 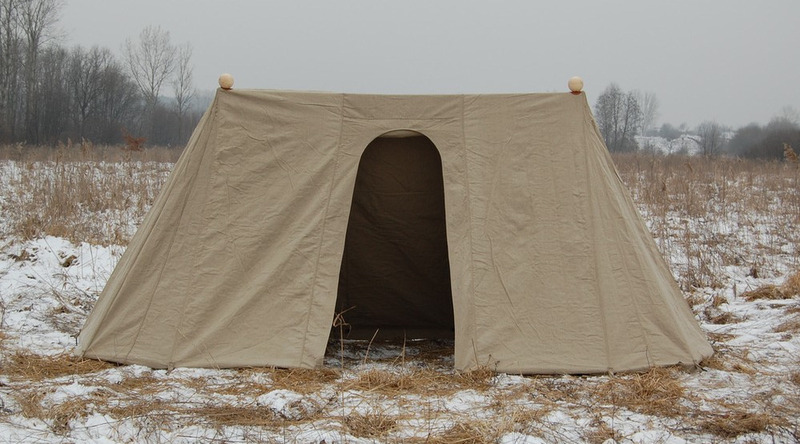 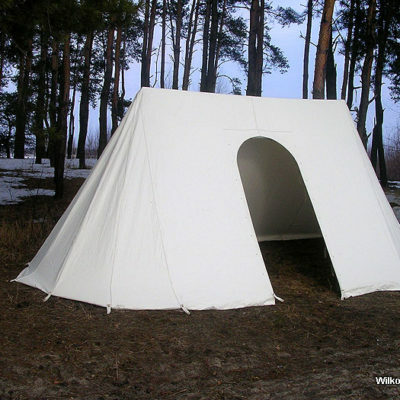 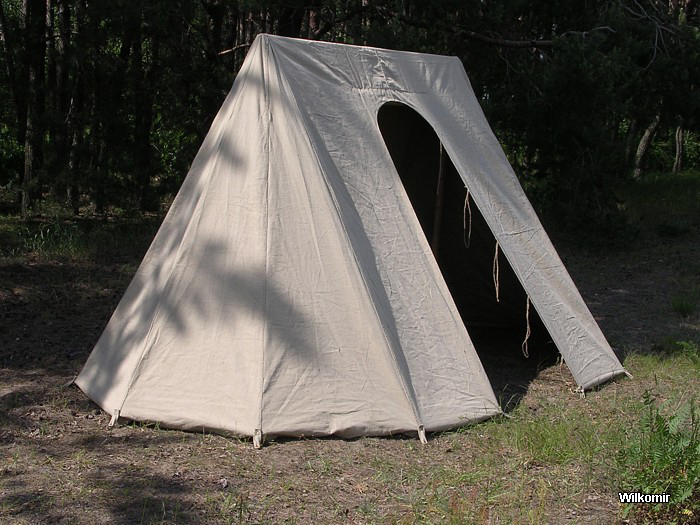 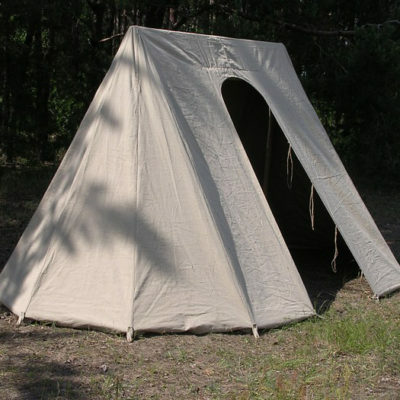 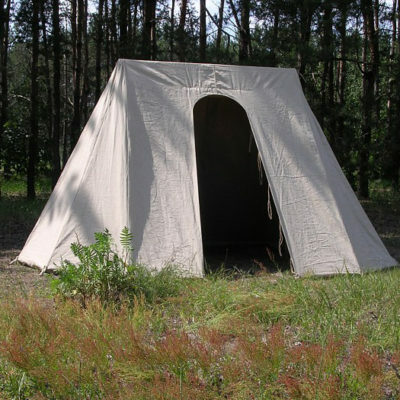 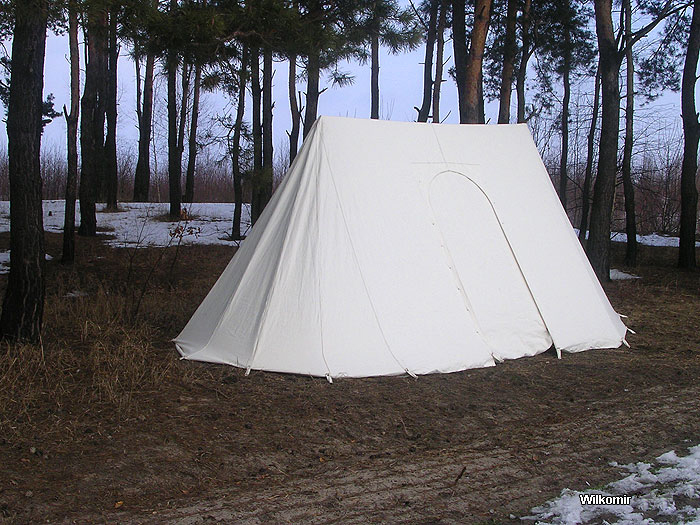 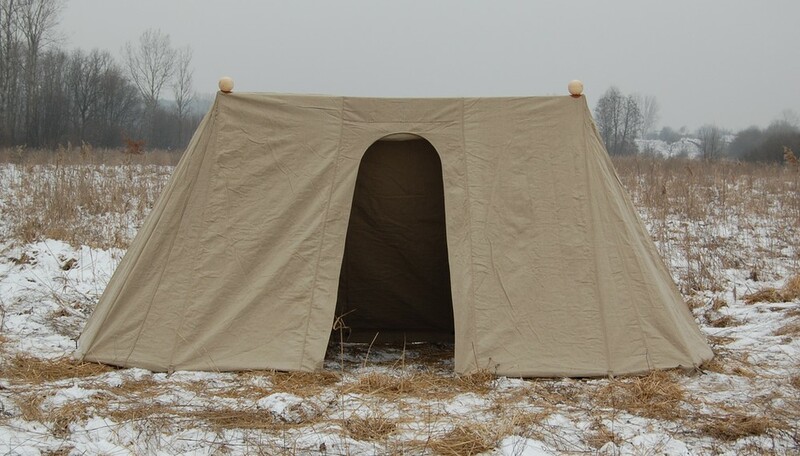 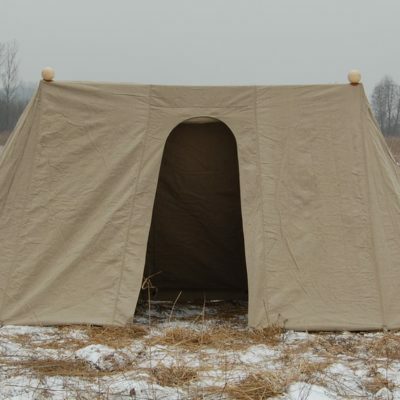 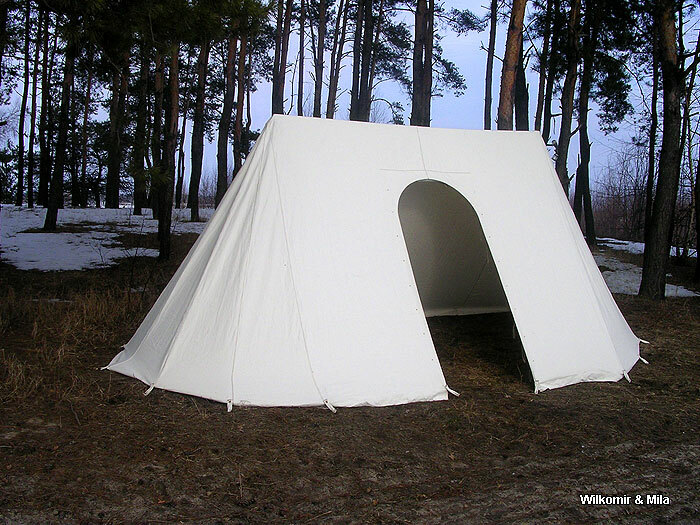 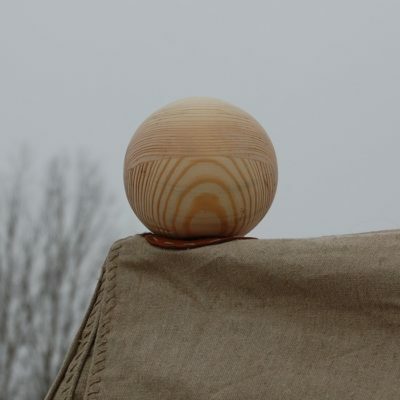 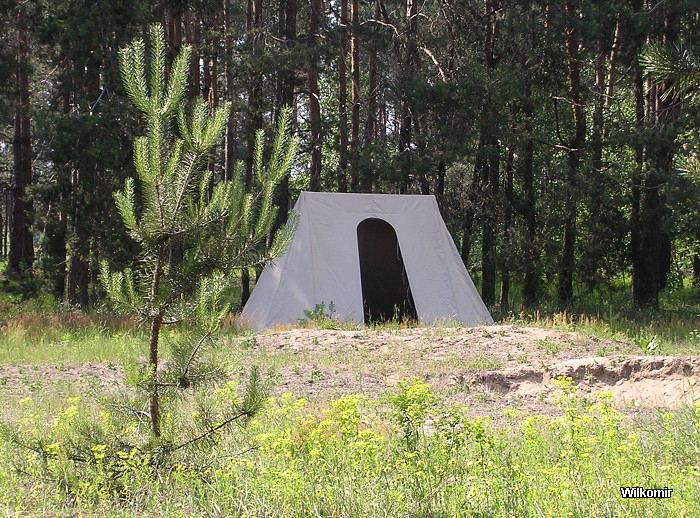 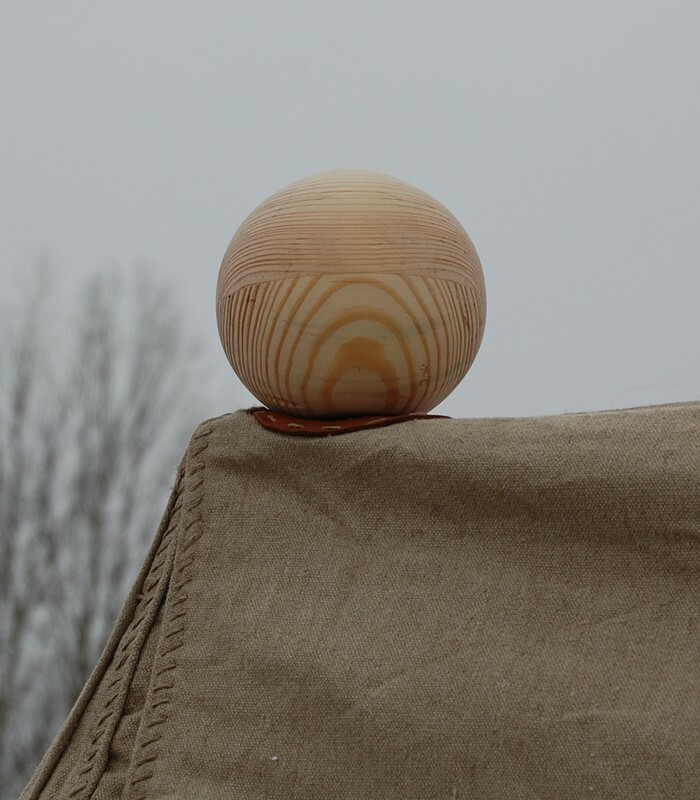 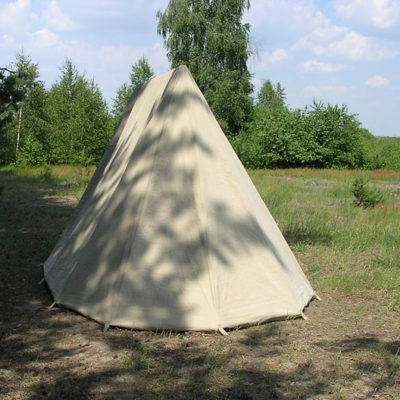 The characteristic feature of this historical tent is its relatively small dimensions and simple mast construction (2 vertical masts and 1 horizontal). 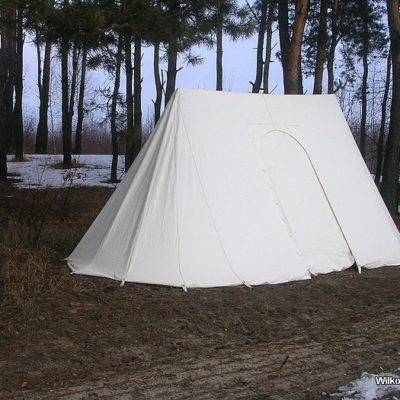 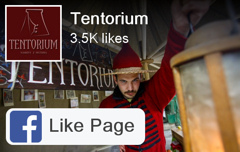 Therefore the tent can be easily transported. 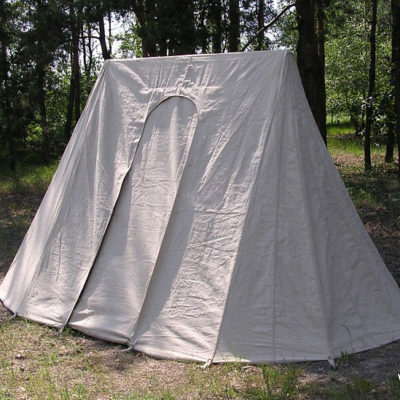 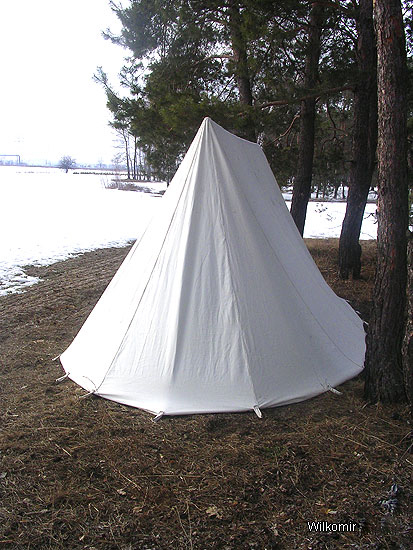 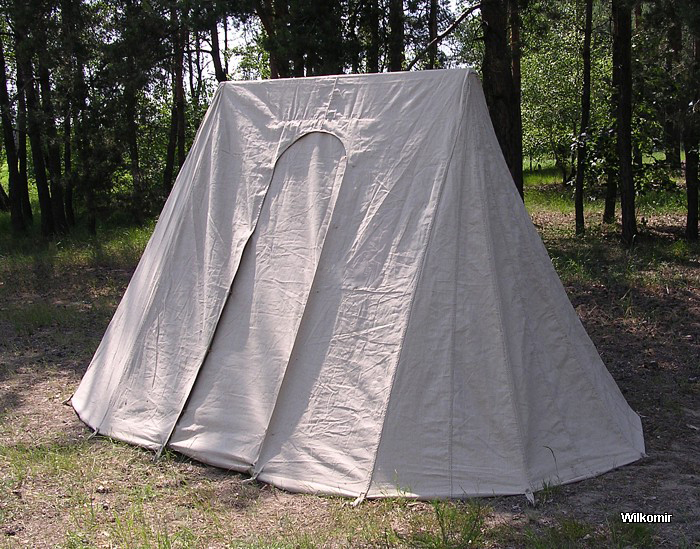 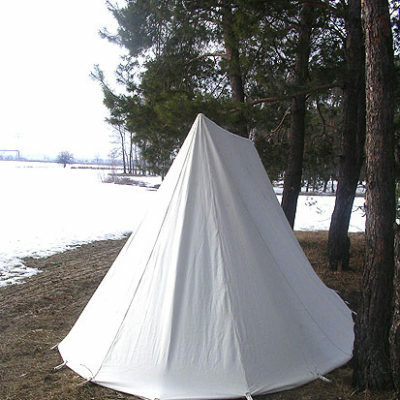 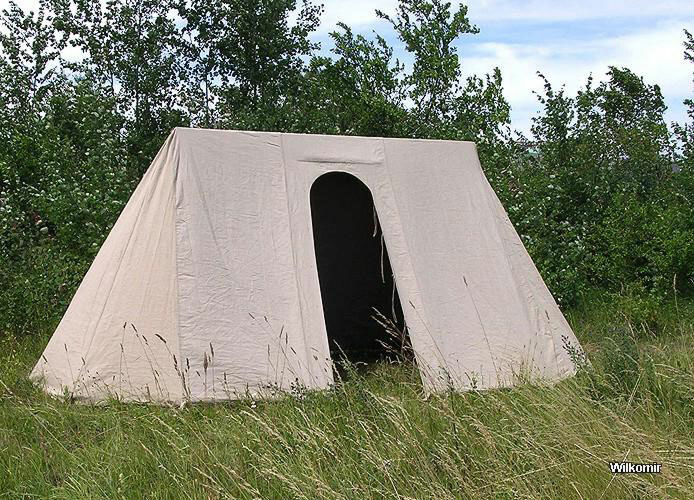 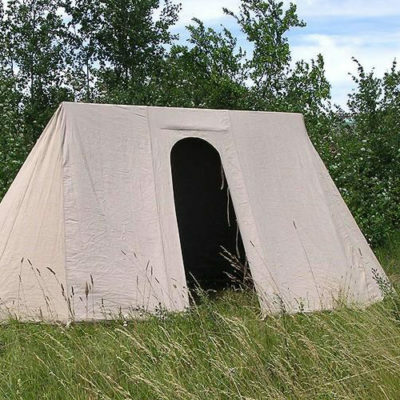 This historical tent is hand made of whitewashed linen and impregnated linen thread.